The Certificate IV in Accounting and Bookkeeping course is ideal for anyone looking to enter into the Bookkeeping or Accounting industries. It is the perfect preparation for anyone seeking a career as a professional bookkeeper, BAS agent or payroll officer. There are no prerequisites for this course. You will be taught industry best practice from some of the most skilled and experienced professionals in the business. The course also meets the additional BAS agent education requirement of an approved course in basic GST/BAS taxation principles. The FNS40217 Certificate IV in Accounting and Bookkeeping qualification is recognised in all states and territories in Australia. The courses offered by Applied Education that are eligible for Queensland funding are listed below. b) are the partner or dependant of a person who holds a Health Care or Pensioner Concession Card and they are named on the card. Start your studies at any time, and study at your own pace. Log in to the online student portal at any time to access your course material. Watch bonus classroom recordings to further assist your understanding of the course. Complete bonus upskill courses included free with the course. Tune in to LIVE weekly online tutorials led by an experienced trainer. Ask questions, receive feedback and interact with other students in real time. You will have up to 12 months to complete the course. There is no minimum time frame, however, therefore students familiar with bookkeeping and accounting concepts may complete the course much sooner. Choose the pace of study that suits your personal situation. The course requires up to 585 hours of study and assessment time, particularly for those who are new to bookkeeping and accounting. Three-month extensions can be requested at no additional cost if required. Extensions beyond this are assessed according to individual circumstances and may incur additional fees. The Certificate IV in Accounting and Bookkeeping course material includes electronic textbooks, online tutorials and class recordings that are packed with high quality content. Plenty of visuals and practice exercises keep the study varied and interesting, and having access to a team of qualified trainers ensures you get the most out of the materials. PDF textbooks are included free with the course, alternatively you can purchase hard copies for a small fee. Accounting unit assessments use MYOB Student version or Xero (both are supplied). The FNS40217 Certificate IV in Accounting and Bookkeeping course comprises 13 units of study. 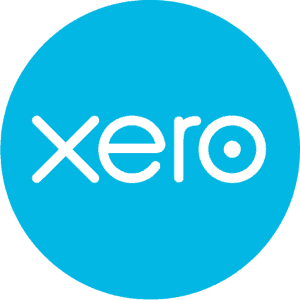 Xero Demo Company is included with the course, as well as free online Xero training. Xero is used to complete unit FNSACC312. MYOB Student Edition included with this course, plus free online MYOB training. MYOB is used to complete units BSBFIA401, FNSACC311, FNSACC416, FNSACC412 and FNSACC414. Enrol in the Certificate IV in Accounting and Bookkeeping and enjoy access to additional online accounting software courses and Microsoft courses. All enrolled students will receive access to the classroom recordings for the course. Self-paced students and Live Online students will still be able to access full classroom recordings to assist with their studies. Receive a 12 month student membership to the Institute of Public Accountants and the Institute of Certified Bookkeepers (valued at $120).